As you may know from reading Chelsea Kelly’s last blog post, the Milwaukee Art Museum is celebrating its 125th anniversary–-commemorating the big year with three exhibitions. The Layton Art Collection: 1888-2013 is the Chipstone Foundation’s contribution to this great celebration. The exhibition, open through the end of the year, is located in the Museum’s lower level. It tells the story of the Layton Art Collection, and is divided into three parts: Frederick Layton and the Layton Art Gallery, Charlotte Partridge and Modernism, and American Paintings and Decorative Arts. 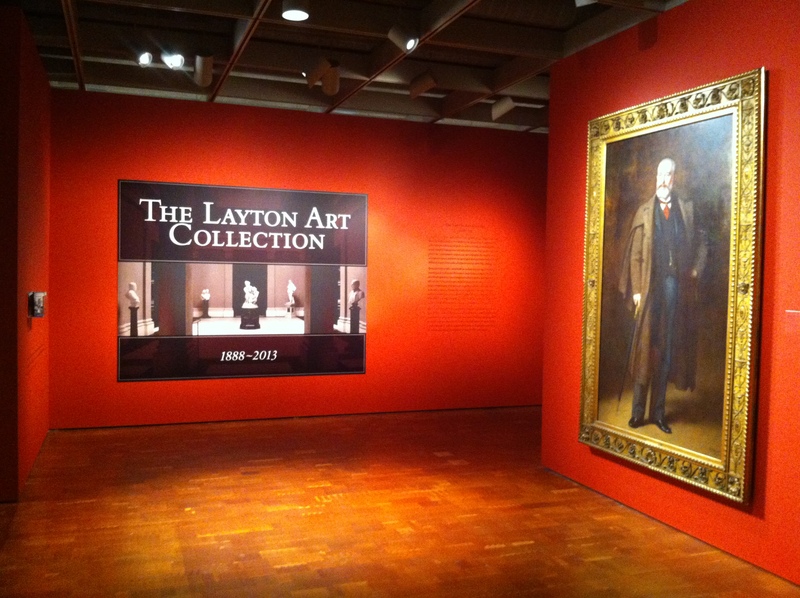 Each of the sections represents a distinct period in the Layton Art Collection. I will devote one blog post to each period, since each is rich with objects and interesting stories. Before I begin, I would like to thank John Eastberg, senior historian at the Pabst Mansion. His research on Frederick Layton, Charlotte Partridge, and the Layton Art Collection as a whole was invaluable to the Chipstone team in curating the exhibition. Eastberg, in conjunction with Layton Trustee Eric Vogel, is publishing a book that will be out this summer, titled Layton’s Legacy: An Historic American Art Collection, 1888-2013. Now, let’s return to the Layton Art Collection. You might be wondering, what is the Layton Art Collection and what does it have to do with the Milwaukee Art Museum? The Layton Art Collection is a collection of objects that are housed and exhibited at the Milwaukee Art Museum. You’ve probably seen many of the paintings, sculptures and decorative arts during your previous visits. The Collection was started by illustrious Milwaukee meatpacker Frederick Layton–without whom, I imagine, the Milwaukee Art Museum in its present form would have not existed. Layton (1827-1919) was an Englishman who immigrated to the United States as a young man. He settled in Milwaukee in 1845 where he made his fortune. Milwaukee at the time was not very big (in 1843–the year the Laytons arrived in Wisconsin–it had less than 4,000 inhabitants), yet there was already a strong interest in the arts. Martha Mitchell (wife of banker Alexander Mitchell), William Metcalf, and Edward P. Allis (Allis Chalmers Company) were some of Milwaukee’s big art collectors in the mid to late 19th century. On June 18, 1883, a group of businessmen gathered at the new Milwaukee Club for a farewell dinner for Alexander Mitchell and Frederick Layton, both of whom were leaving on trips abroad. What followed has become legend. After a toast in his honor, Layton is said to have remarked that something had to be done in order to create a public art gallery worthy of the city of Milwaukee. Word spread quickly. The next morning, the Milwaukee Sentinel published a story recounting that Layton had offered to build an art gallery as a gift to the city. True to his word, Frederick Layton built Milwaukee’s first single patron public art gallery in 1888 at the corner of Jefferson Street and Mason Street, where the multilevel parking lot and the Blackthorn Pub currently stand. He traveled to Europe often both for business and to acquire art–in fact, he crossed the Atlantic 99 times during his lifetime. 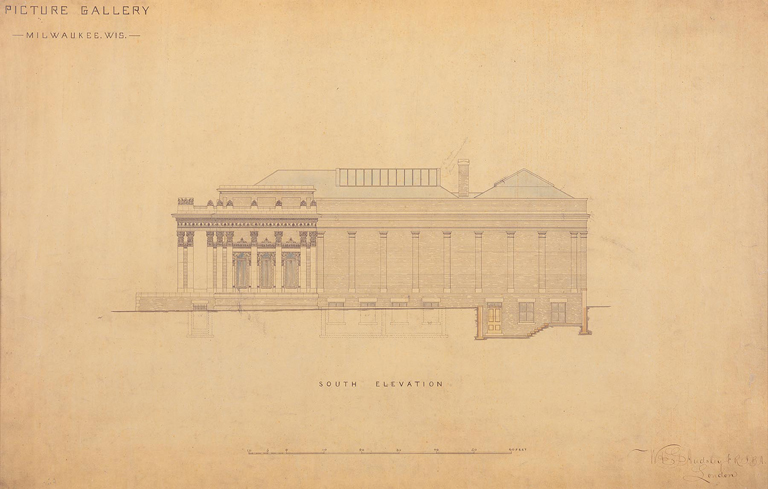 In 1883, while sailing from New York City to Liverpool aboard the S.S. Gallia, Layton met the architect William Audsley. Five years later, the Audsley-designed Layton Art Gallery opened in Milwaukee to much public excitement. Layton set out to create a good representative contemporary art collection (contemporary in the late 19th century meant Victorian art), which he hung salon-style in his gallery against red walls. Some examples of the work that Layton collected for the gallery, as well as images and elevations of the gallery, can be seen in the Layton Art Collection exhibition. 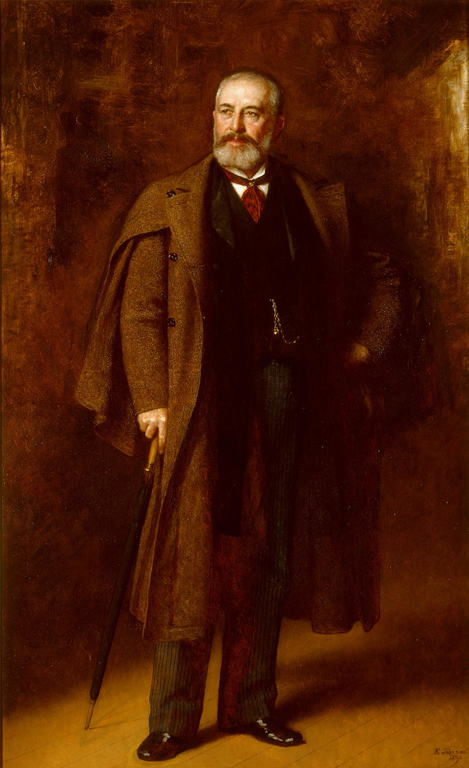 In 1919, Frederick Layton passed away at the age of ninety-two. The Layton trustees decided to donate Armenian-American artist Hovsep Pushman’s The Incense Burner to the collection his honor. 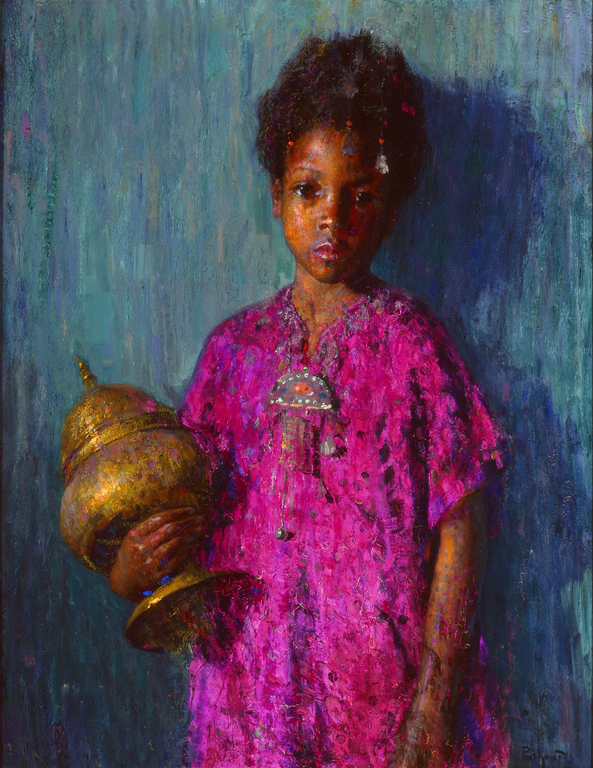 The painting, on view down in the decorative arts gallery, illustrates a young North African girl dressed in fuchsia. The fluid and visible brushstrokes, the bright colors, as well as the subject matter, are a stark contrast to the genre scenes and landscapes collected by Layton. The Incense Burner made a strong statement that the Layton Art Gallery would continue to evolve, even after its founder’s death. Stay tuned to find out how the Layton Art Gallery evolved in the 20th century. This entry was posted in Art, Curatorial, Exhibitions and tagged 125th Anniversary, Layton, Layton Art Collection, Layton Art Gallery, Milwaukee, Milwaukee Art Museum, Milwaukee history. Bookmark the permalink.